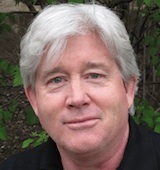 Jim Tilley has been published in Southwest Review, Alaska Quarterly Review, Southern Review, and New Orleans Review, among other journals, and has been featured on Poetry Daily and on the PBS News Hour’s art blog. He has won Sycamore Review’s Wabash Prize for Poetry. Four of his poems have been nominated for a Pushcart Prize.